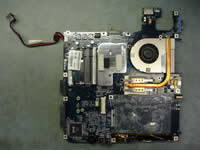 Remove hard drive cover, wireless card/modem cover, memory cover and one more cover without any components underneath. 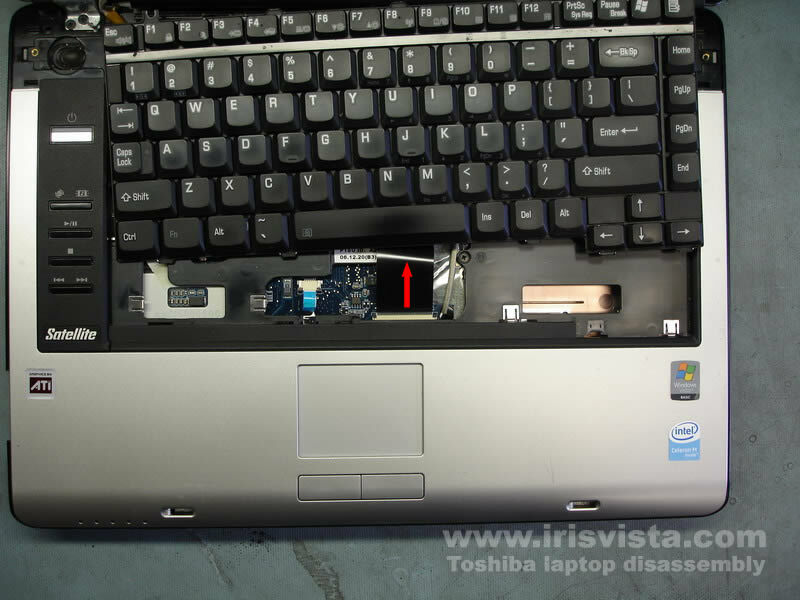 In order to disconnect the hard drive from the motherboard, pull it to the left. 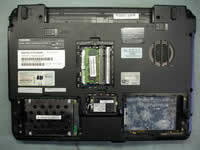 Spread the memory module latches and remove the module from the laptop. 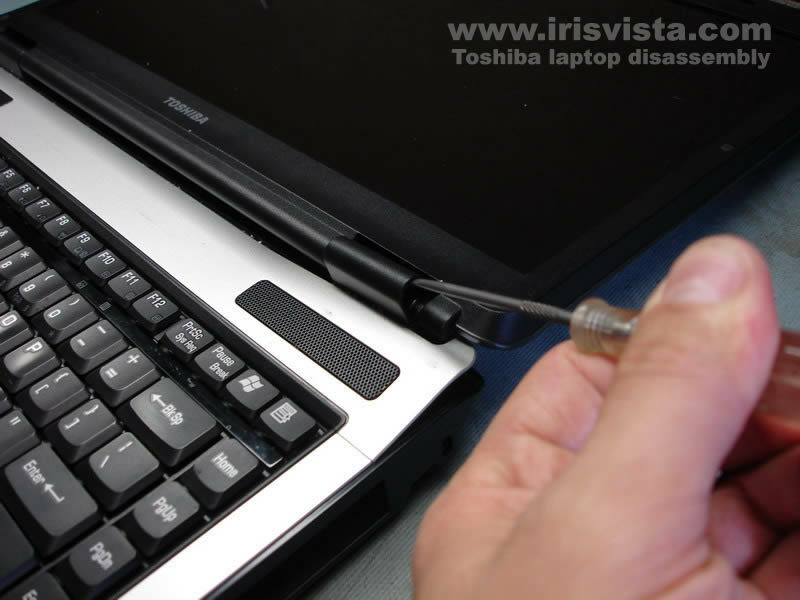 Unplug two wireless card antenna cables. 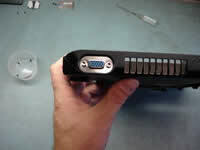 White cable - main, black cable - auxiliary. 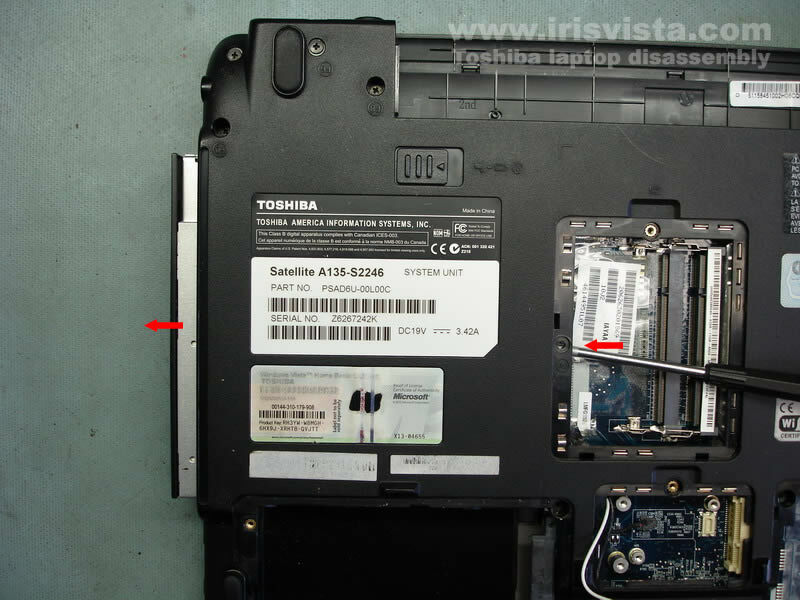 Remove two screws securing the Wi-Fi card. 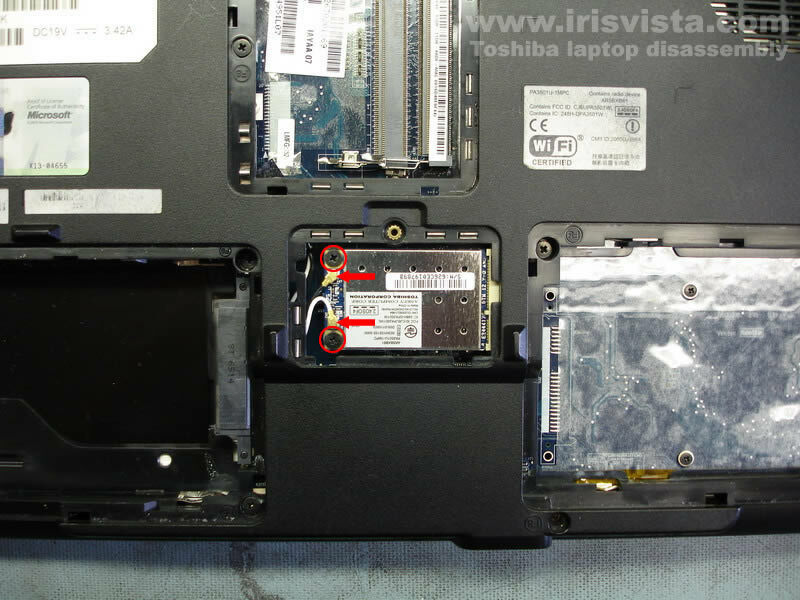 Carefully pull the Wi-Fi card from the slot and remove it. 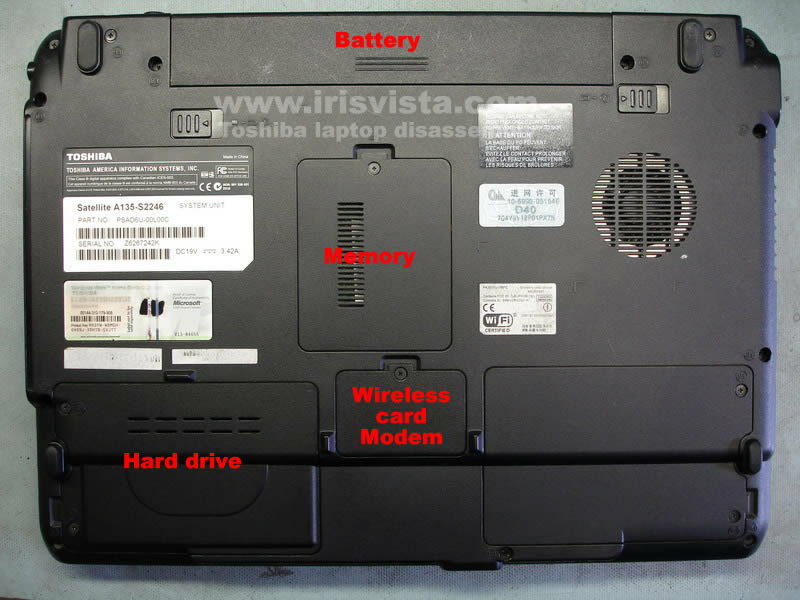 The modem card is located under the wireless card. 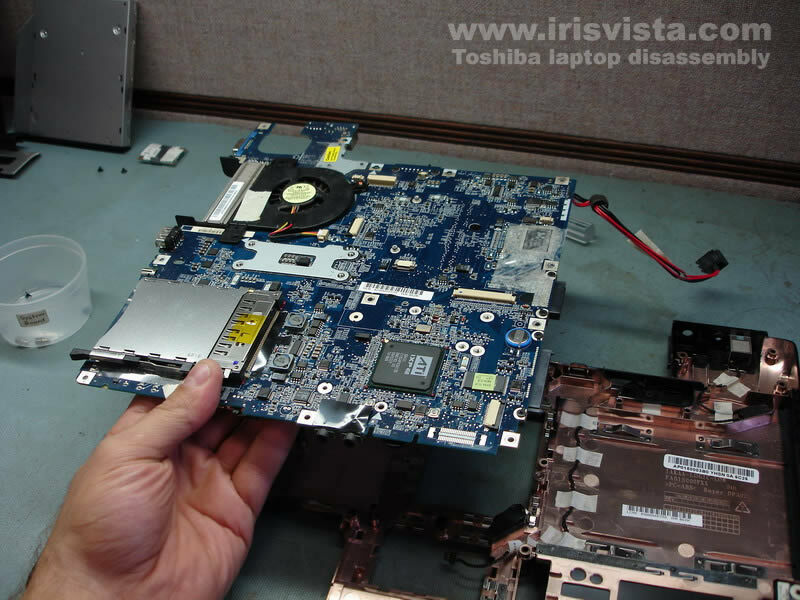 Lift up the card using the black belt to disconnect it from the mainboard. Unplug the modem cable on the left side of the card. 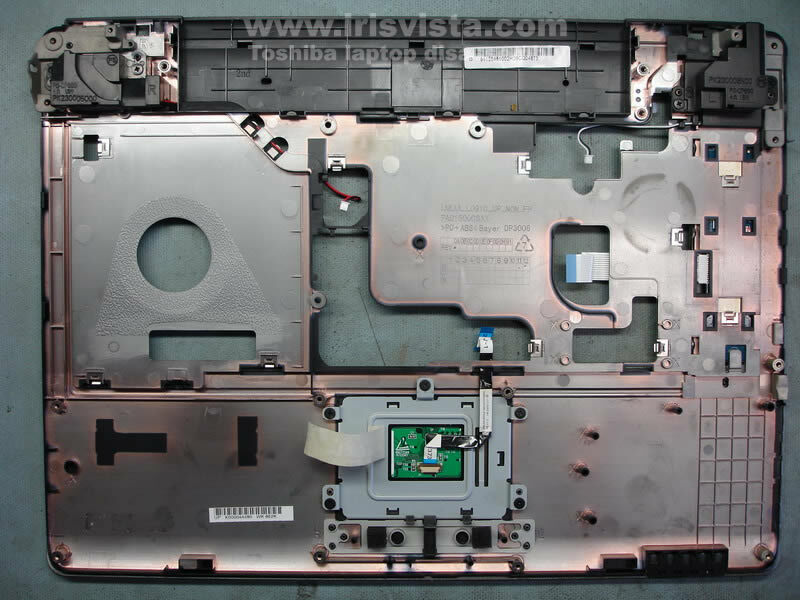 Remove one screw (located in the RAM bay) securing the DVD drive. Carefully push the DVD drive from the laptop. 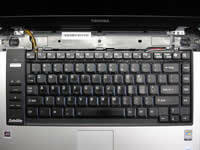 Lift up the keyboard bezel using a small flat-head screwdriver. 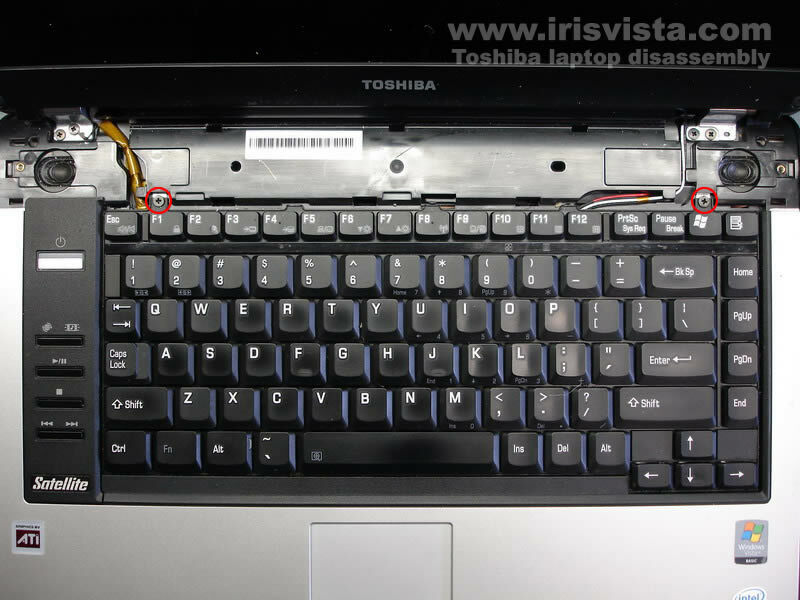 Lift up the keyboard and place it on the laptop cover so you can access the keyboard cable connector. 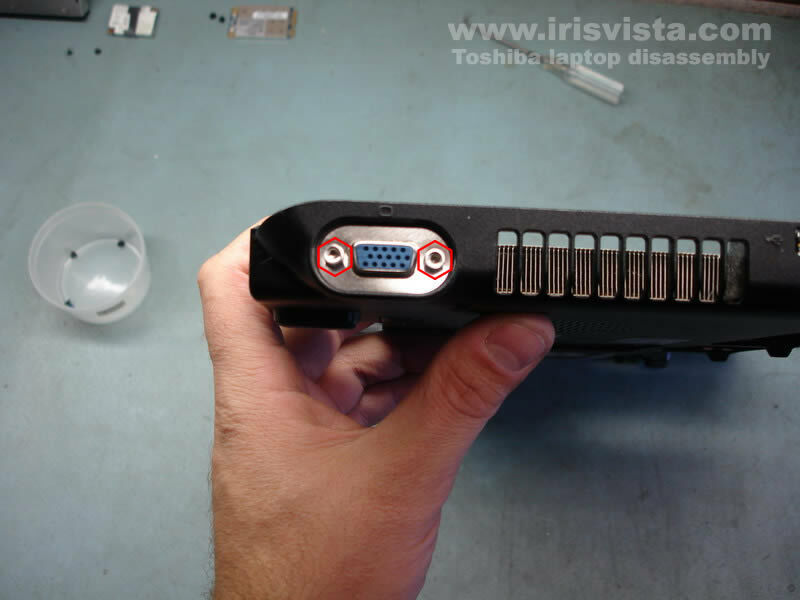 Unlock the connector and pull the cable. 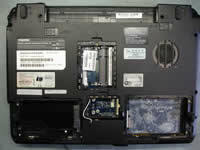 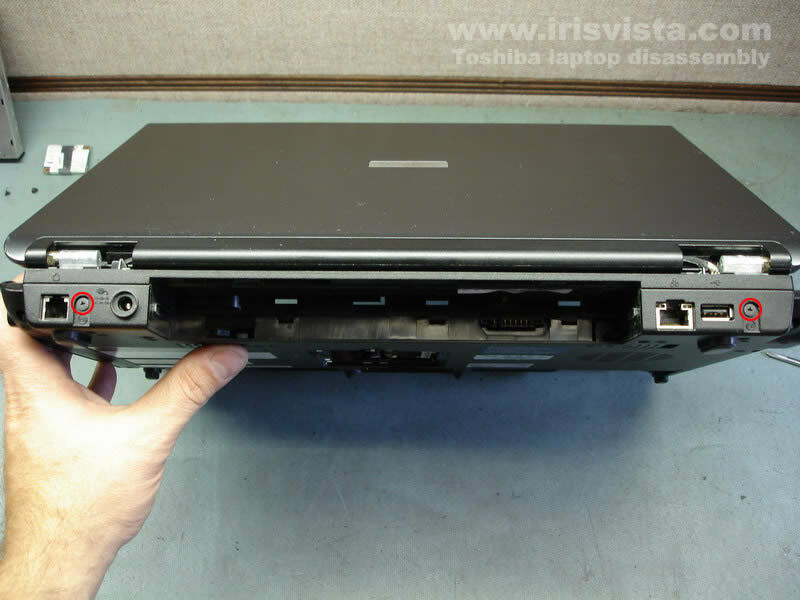 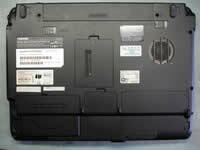 Remove two screws from the back side of the laptop. 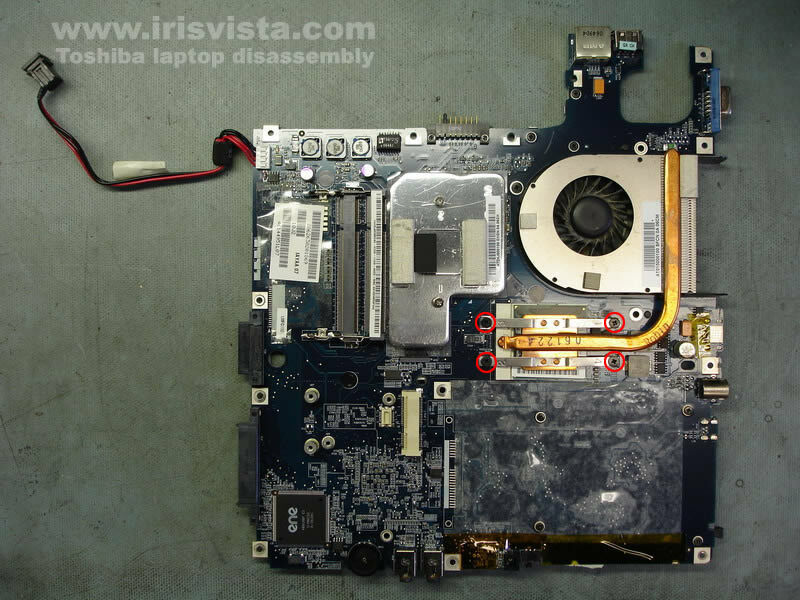 Unplug the video cable from the mainboard. 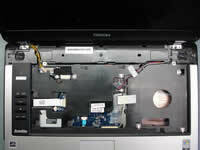 Pull the wireless card antenna cables through the hole in the mainboard. 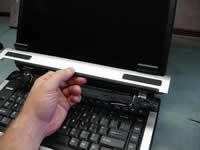 Release the wireless card antenna cables. 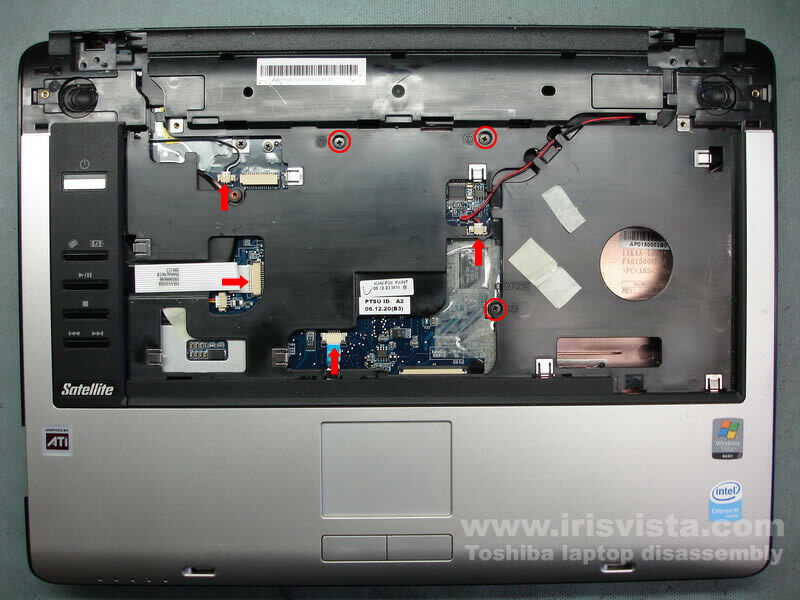 Remove four screws securing the laptop hinges. 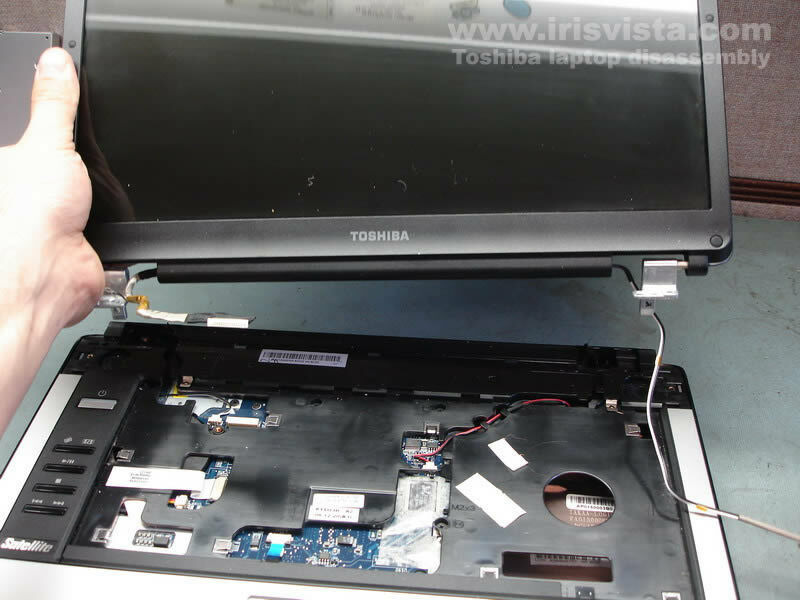 Remove the LCD screen assembly. 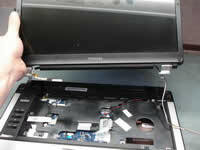 Remove three screws securing the top cover assembly to the laptop base. Unplug the power button board cable, the touchpad cable and both speakers from the motherboard. 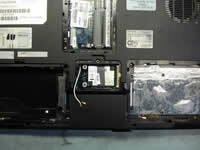 Using a guitar pick separate the top cover assembly from the laptop base assembly. 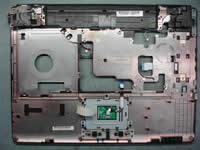 After all latches are released, lift up and remove the top cover assembly. 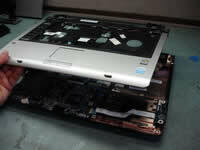 Here's a picture of the top cover assembly from the opposite side. 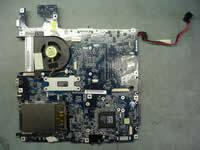 Remove four screws securing the mainboard. 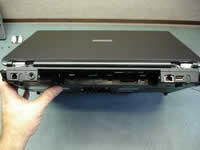 Release the power jack harness. 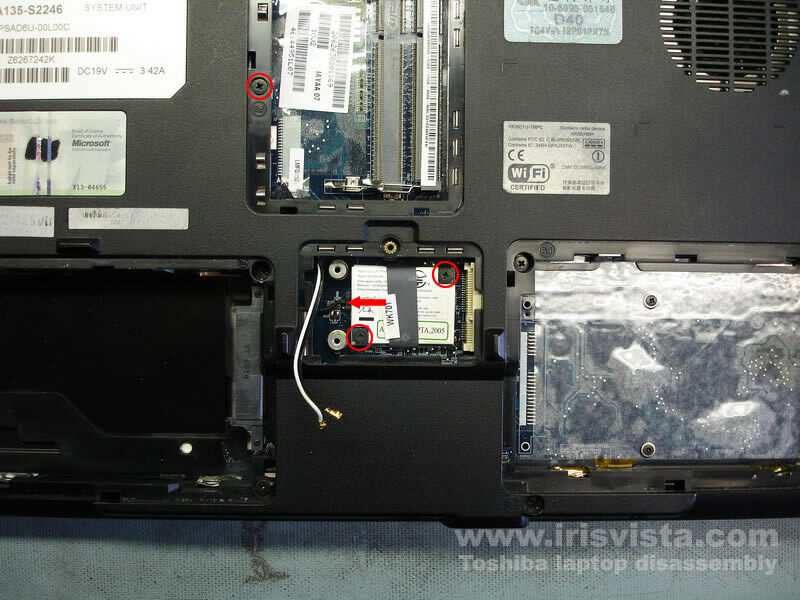 Remove two hex studs from the VGA port on the side of the laptop. 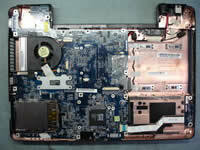 Start removing the mainboard from the right side. 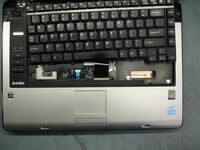 Lift up and remove the mainboard from the laptop base. 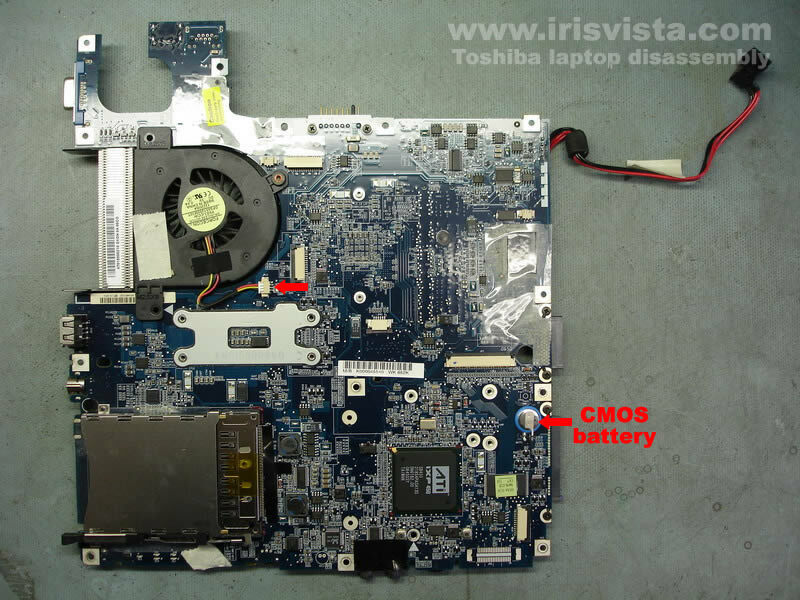 Unplug the fan cable from the mainboard and turn the mainboard over. 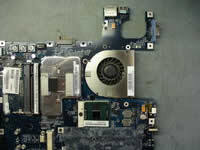 Remove four screws securing the CPU heatsink. 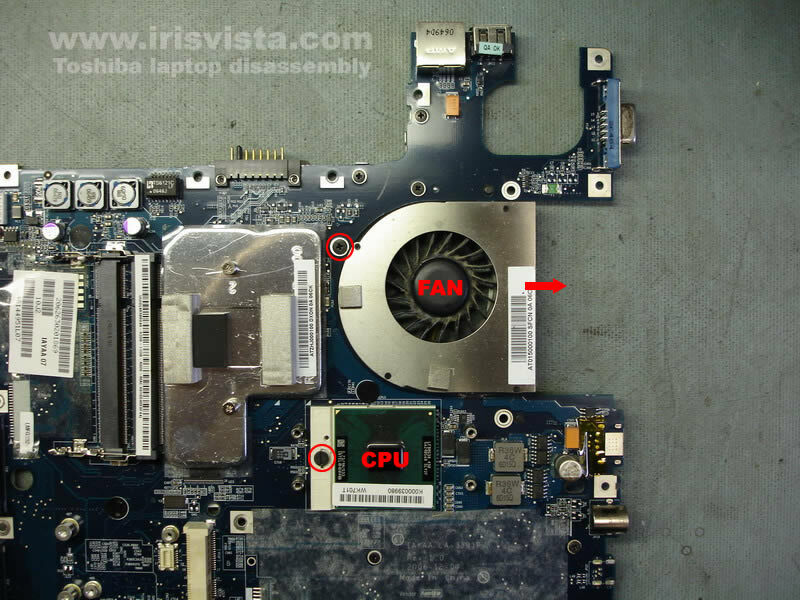 Remove one screw securing the cooling fan, slide the fan to the right and remove it. 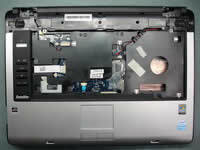 Unlock the CPU socket by turning the screw-lock into "Open" position and carefully lift up the CPU from the socket.